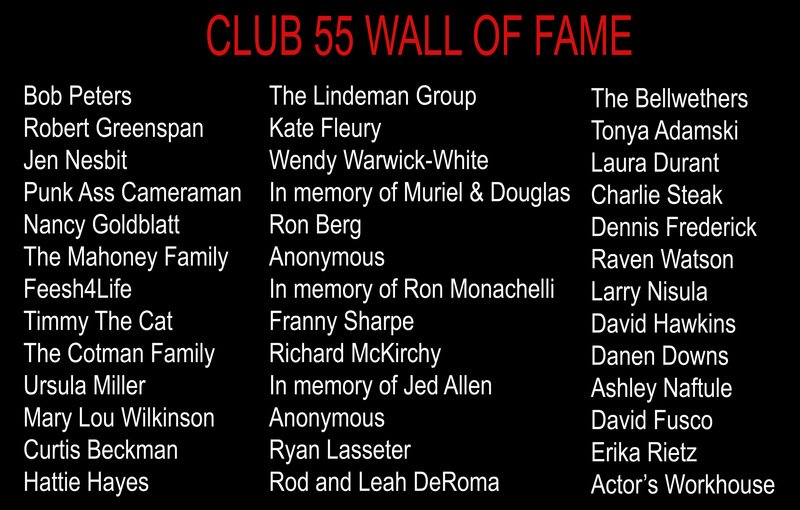 Club 55 is our inner circle of favorite patrons. In order to join all you need to do is make a donation of $55 to help Space 55 continue offering innovative theater productions and creating opportunities for local writers and performers. 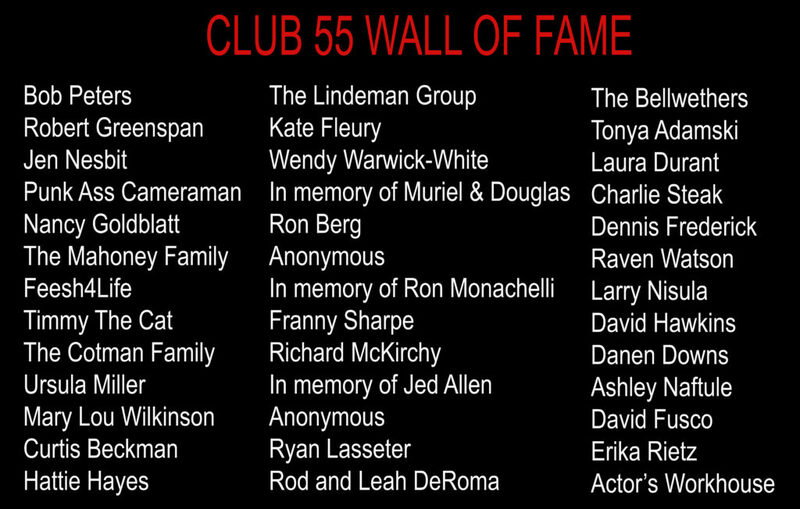 As the newest member, your name will be added to the top of our Wall of Fame inside the Space 55 lobby! If that’s not cool enough, you will also get PRIORITY SEATING at all Space 55 shows! That’s right, when the house opens, YOU get to enter BEFORE all those non-Club 55 yahoos.